We offer a variety of ballroom dance lessons for all levels from beginner to advanced, and we have Zumba too! We teach a variety of group classes 5-6 days per week. Most are drop-in classes, while some progress throughout the month. Progressive classes build on material learned in previous weeks throughout the month. Group classes are open to walk-ins and students who schedule in advance. Group classes solidify step patterns, help develop balance, and improve the ability to lead and follow. Group classes are taught at the average learning rate of the group and are a great place to meet potential practice or competition dance partners. We post all group lesson dates and times on our dance calendar, or you can call 203-748-2884 with scheduling questions. Each lesson is one hour in length. Private lessons are the most effective method to learning quality lead and follow techniques for all dances. These progress at the individual’s rate of learning and give them dedicated time with instructors to understand how to move throughout dance. Private lesson students may choose to seek competition opportunities to showcase their hard work and dedication. All skill levels from the novice to advanced student can benefit from one-on-one instruction. It’s a fabulous way to improve your dancing! Individuals or couples may take private lessons. Lessons may be scheduled for either a 1/2 hour or 1 hour in length. Private lessons may be scheduled in advance by calling us at 203-748-2884. We cater our dancing for groups of all kinds and sizes. Have a special occasion? We can create group interaction through a fun and social way to meet people. We offer private group lessons designed specifically for wedding couples, corporate events, social functions, and private groups. Try out the new dance moves you’re learned with your fellow students, or students from other studios. We always have open floor space available for practice for nominal fee. Practice space is available to anyone regardless of where you take lessons. All are welcome!!! If you have very little or no dancing experience, this course if for you. 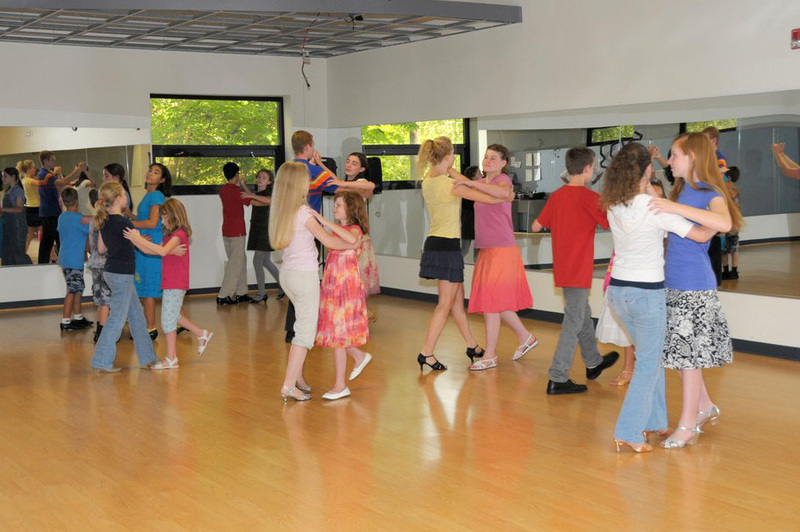 Students will learn 3-4 basic steps for Foxtrot, Waltz, Rumba, Cha Cha, Merengue and Swing. A continuation of Beginner II, in addition to adding additional figures and dances previously taught, students will learn more complex combinations. West Coast Swing and Quickstep will be added. Technique of the steps learned becomes a primary focus in this course. This course is for students proficient in all the dances and steps taught in Beginner I,II and III. Students will focus on beginning continuity for all smooth dances in addition to learning much more complex figures and combinations. Technique becomes the major part of each lesson and the quality of dancing will be the primary focus. This course is for students who are proficient in most of the dances and steps taught in Intermediate level. Students will focus on continuity for all smooth dances in addition to learning much more complex figures and combinations. Technique is the major part of each lesson and the quality of dancing will be the primary focus. This class focuses on the technique on how to move only. No partnering. We use a variety of exercises that use many of the more common and most important figures used when dancing.